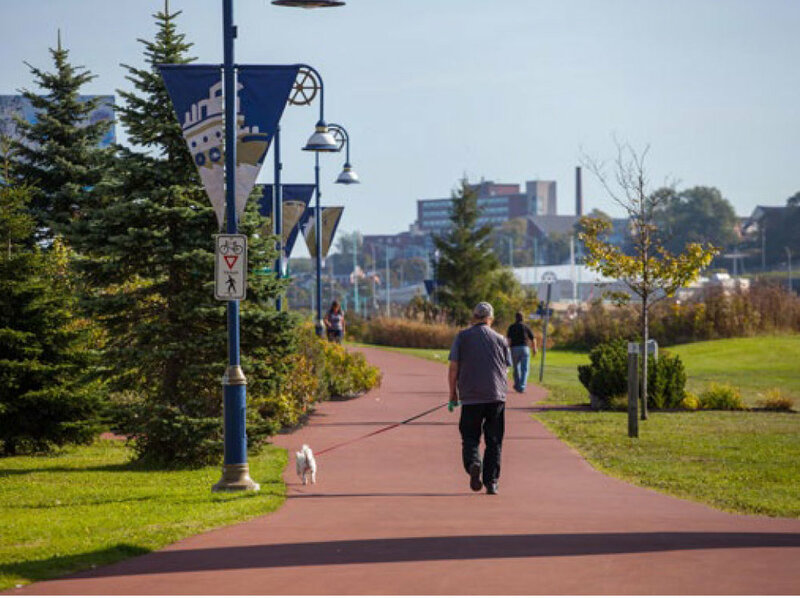 As part of its development vision, the Saint John Development Corporation was the leader in bringing the idea of Saint John’s Harbour Passage to life. The corporation worked with partners throughout the community to grow support, and raise money, for the construction of the trail system and saw Phase I of the trail open in 2003. The community support for Harbour Passage continued to grow, and in 2004 The Community Foundation was entrusted with funds to permanently endow The Harbour Passage Fund. Initial funding was provided by various individuals, including a largedonation from CUPE. Each year, earnings from the Fund support ongoing community initiatives to enhance the public green spaces along the trail system.